I’m always trying to get creative with some of Willow’s favorite snacks and lately, bananas are her favorite. She is extremely finicky with texture, so getting foods just right can be tricky. 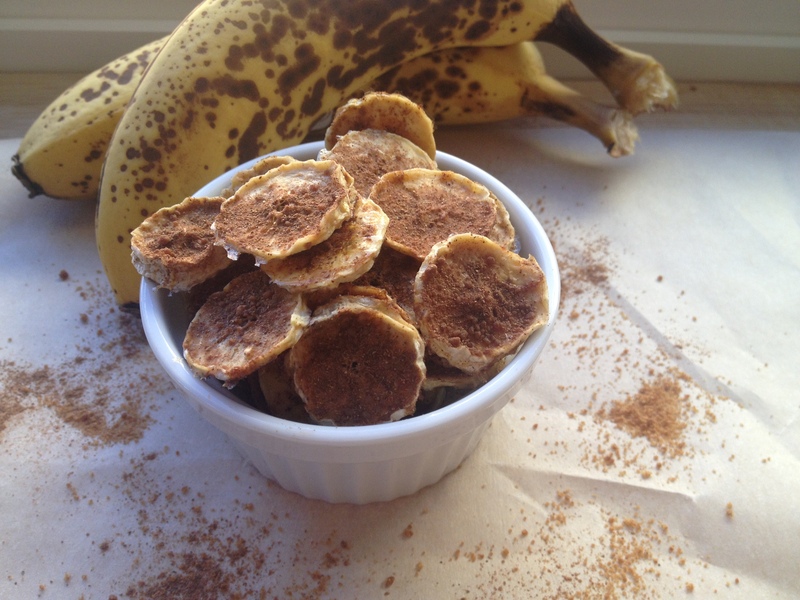 She loves cinnamon, so I decided to experiment with a cinnamon sugar banana chip! Please be sure to read all the way to the end because I’m sharing one of my favorite IG accounts and a link you won’t want to miss. 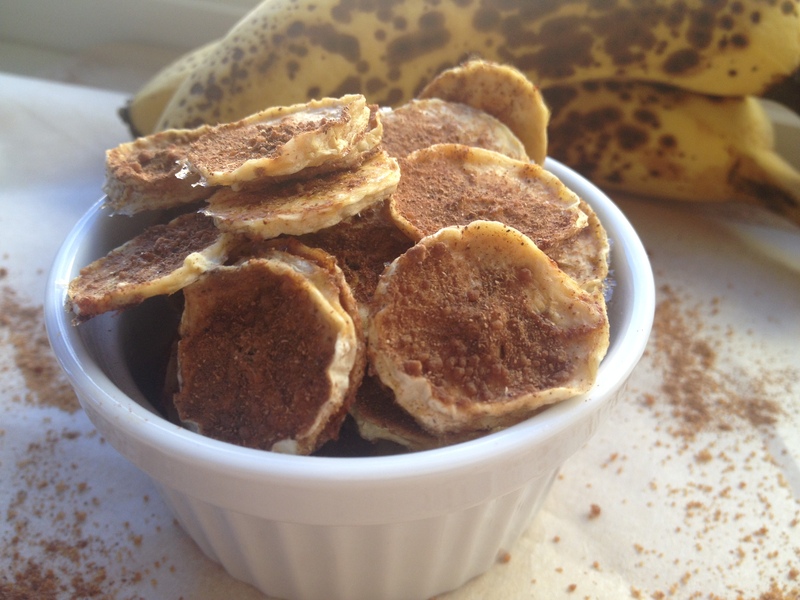 * Any leftover coconut sugar and cinnamon can be used in a smoothie, pancake batter or a topping for nice cream! Mix the coconut sugar and cinnamon in a small bowl. Thinly slice your banana and dip in the lemon juice – using the lip of the bowl, wipe away the excess lemon juice. Next, coat the banana slices in the coconut/cinnamon mixture. You can sprinkle it on each slice, but coating the banana slices really give it a nice flavor. Spread out evenly on your mesh dehydrator tray(s) and set the temperature at 115 degrees F for 18-32 hours, or until your desired texture. Ours turned out slightly crispy and chewy – perfect for Willow because when things are two crispy or hard, she won’t eat them. You can also set your dehydrator to a higher temperature to speed up the process, just keep an eye on how things are going. I like to keep the temperature between 115-120 and let it run overnight…that’s the beauty of the dehydrator! * You can omit the lemon as it can be tart/sour, but I personally like the flavor it adds when combined with the cinnamon and coconut sugar. I mean, come on, look at this perfect nice cream!!!! Sounds awesome Mandy! I don’t have a dehydrator but if I did I’d be all over these! Let me know if you do!! I may try too! I’ll keep you posted! And let me know if you try it! I just whipped out my dehydrator last night! But my booklet said my food would take two days to dry. Have you dehydrated anything that long? I don’t like leaving things plugged in while I’m not home, I’m so paranoid! 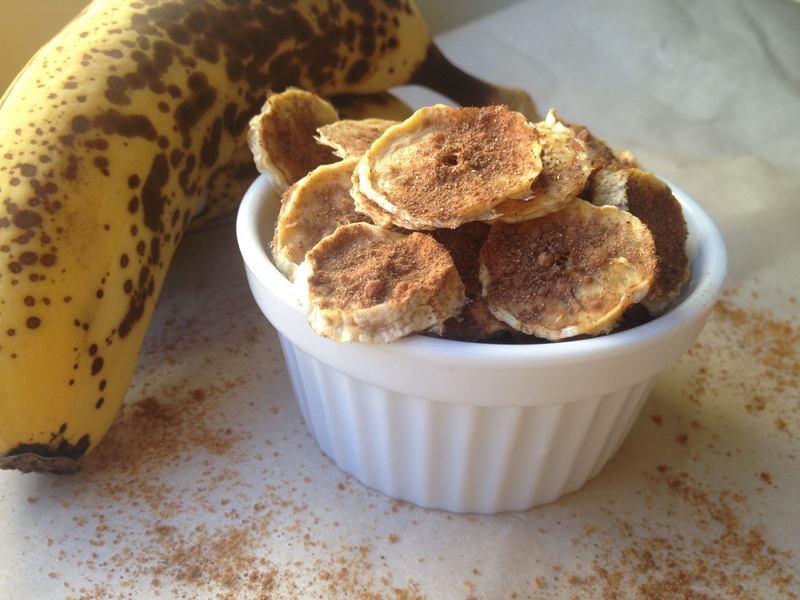 I’ll have to give your banana chips a try! I know I already commented on IG but I love to check out your posts too! It seriously does look good and if I didn’t like them, I’m POSITIVE my daughter and hubby would. 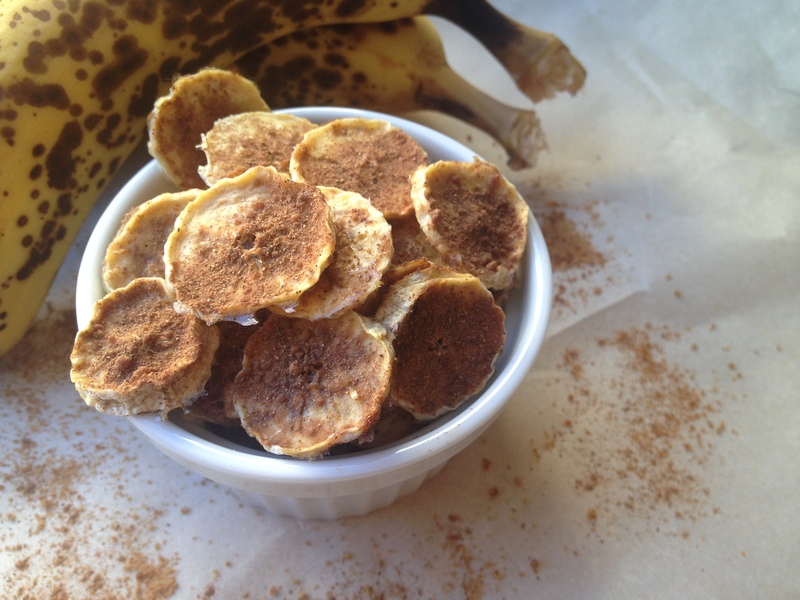 I don’t have a dehydrator though, but I make cinnamon roasted apple chips in my oven, so maybe I’ll try the banana chips at a similar setting!! 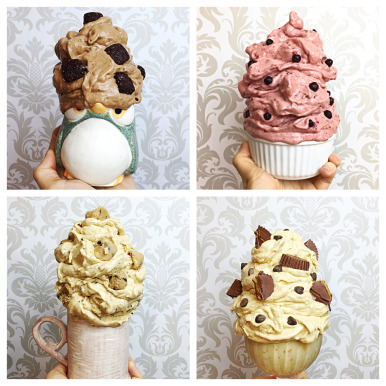 Oh and all that nice cream looks amazing!! !